Novatel Wirelss (NVTL) has agreed to acquire privately held Enfora, a provider of asset management solutions, for $64.5 million in cash. The deal may result in an additional $6 million if certain milestones are achieved. 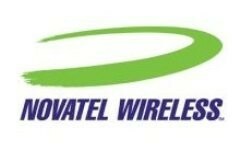 After reaching about $12 a year ago, the stock price of Novatel went into a tailspin, losing more than half its value. But over the past couple months, the company has benefited from the big tech rally, and now shares are trading at $10.19. So can Novatel keep up the momentum? Well, the company is in a volatile business: broadband technologies for mobile devices. But as the economy improves and industry demand continues to grow, things do look promising. And this latest deal with Enfora should help. During the 1990s, Mark Weinzerl was a vice president at INET, which helped telecom companies design and manage communications networks. He helped the company go public in May 1999 but wanted to run his own operation. So in September 1999, he purchased the wireless data assets from INET. It was a good decision since it became the basis for Enfora. Now the company is a leader in the growing industry for machine-to-machine (M2M) technology. Essentially, this involves software and embedded systems that allow mobile devices to communicate with each other. This can be helpful with monitoring car traffic, temperatures, inventory and so on. Since inception, Enfora has sold over seven million units of its core solution. The customers span industries like transportation, industrial automation, security, and health care. For Novatel, the deal for Enfora will certainly bolster its footprint in the mobile space. First of all, there will be the addition of a strong research & development team. Next, the customer bases have little overlap. In other words, there should be opportunity for cross-selling. The financial profile of Enfora is attractive. Over the past year, revenues came to $61.3 million and gross margins were 36%. The transaction will be immediately accretive to Novatel's non-GAAP earnings. More importantly, the growth for Enfora should continue. According to ABI Research, the market for M2M technology is expected to go from $286 million in 2010 to $628 million in 2014. And with the scale of Novatel, Enfora is likely to be a major beneficiary of this market. True, in today's trading, Novatel's stock price is unchanged. But in light of the growth potential of Enfora -- and the attractive valuation of one times revenues -- the deal should help further the boost Novatel's stock price over the next year.